Lleyton Hewitt is urging Alex de Minaur to embrace the "suffocating" pressure of entering an Australian summer as the country's top-ranked men's tennis star. 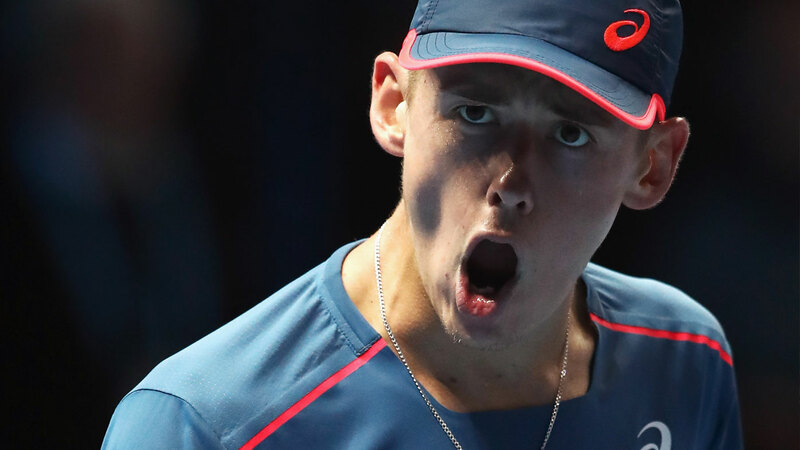 Australia's Davis Cup captain has taken de Minaur under his wing and admits the teenage whiz exceeded all expectations in a whirlwind 2018 season. 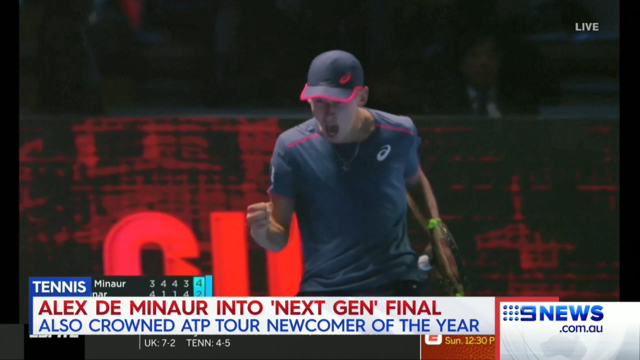 De Minaur rocketed from No.208 in the world to 31st to be crowned the ATP's newcomer of the year after reaching three finals and leapfrogging dual grand slam quarter-finalist Nick Kyrgios in the rankings. Hewitt is predicting the 19-year-old to continue his meteoric rise in 2019 but the former world No.1's praise came with a word of warning. "He's going to have a target on his back for sure, especially since he's going to be close to a seeding in January at the Australian Open," Hewitt said after de Minaur shared the 2018 Newcombe Medal with fellow young gun Ashleigh Barty. "With that comes pressure and expectation playing at his home slam. "But I think it's something he'll embrace as well and, if anything, that's one area where I can probably help him with a little bit; just dealing with that pressure and expectation and trying to embrace it more than think that it's actually a negative on you and weigh you down." John Newcombe, the legend after which the highest individual honour in Australian tennis was named, believes de Minaur should be targeting a place in the top 20 in 2019 - and even higher in the long term. "This kid's something special. He's just got something," Newcombe said. "He's done a fantastic job this year and the top eight in the world is certainly there (for him) because he's got a good brain, he's got a great all-court game and he's dedicated to improving himself." After third-round showings at the All England Club and Flushing Meadows, de Minaur is aiming for the second week of slams next year. "That's one of the goals," he told AAP. "I played some great tennis this year, especially Wimbledon and the US Open, so I feel like the level's there. "I've been close against the top guys and now it's time to learn from the mistakes I did against those guys and hopefully I can get over the line in those big matches going forward."